Long gone are the days of poor visibility from cabs in a telescopic handler. JCB is bringing a new range of agricultural Loadalls to the global market that further improves the views. In fact, the British manufacturer says its new Series III range has an all singing, all dancing Command Plus cab, that is also 50 per cent quieter than previous models. 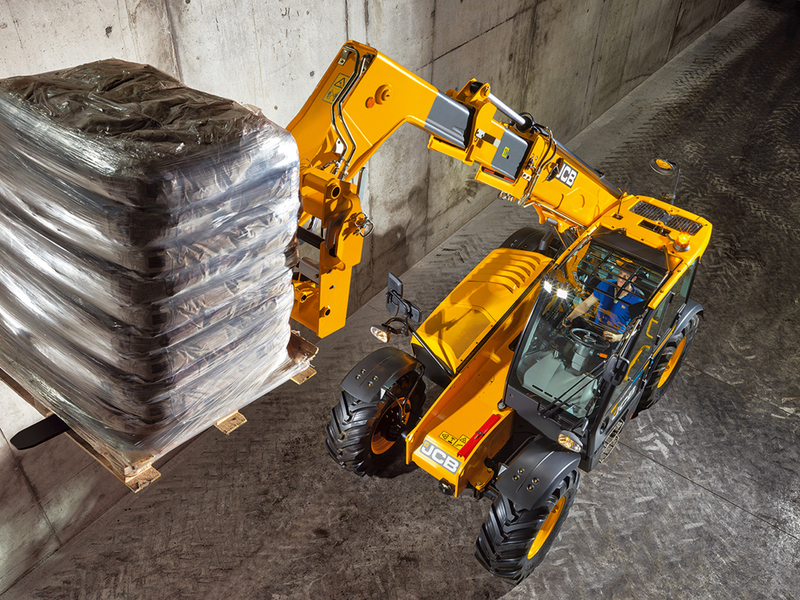 This new Series III JCB Loadall range comprises four models, namely the six-metre lift 538-60, seven metre 532-70 and 542-70, and the 9.5 metre high-lift 536-95, which have increased load capacities of up to 200 kilograms over their predecessors. The already established 560-80 model with eight metrelift height and six tonne lift capacity remain the same, and the 536-70 LP continues unchanged with its existing low profile cab for poultry shed and other low height applications. The engines also stay the same, using the 4.4 litre and 4.8 litre JCB EcoMAX power units to serve up a choice of 75,109, 125 and 145 horsepower outputs. However, there is a new 40 km/h. TorqueLock 4 powershift transmission with four-speed torque converter lock-up for the 109-horsepower engine to provide more performance and better fuel economy when travelling and towing compared to the regular 30 km/h. four-speed transmission. The six-speed JCB Torque Lock auto powershift and unique JCB DualTech VT hydrostatic/powershift transmissions, which are both capable of 40 km/h., continue as normal. The new Command Plus cab is the most obvious change on the new Series III Loadalls, as well as the new colour scheme and branding. It now has more room, a neater control layout and more dedicated storage space. Visibility to the front wheels and beyond has been transformed by the low-set dash panel, and by 14 per cent upwards to help see a raised bucket or fork. The cab’s design was the result of extensive consultation with owners, which allowed engineers to include features that make operation easier and visibility better. The latest Loadalls use the familiar electro-hydraulic joystick to operate the boom and attachment, transmission forward-reverse and auxiliary hydraulic supply to the boom end. The joystick is mounted either to the right of the driver’s seat or on the air suspension seat itself. The previous array of rocker switches has given way to clusters of durable rubber membrane switches. Most of these are located alongside the joystick together with a rotary selector dial to navigate menus and select functions on the new tablet-like instrument display that ‘floats’ in front of the right-hand cab pillar.